Earlier today, during a casual run-in with reporters, Ted Cruz apparently decided that we have yet to be sufficiently punished for our collective misdeeds. 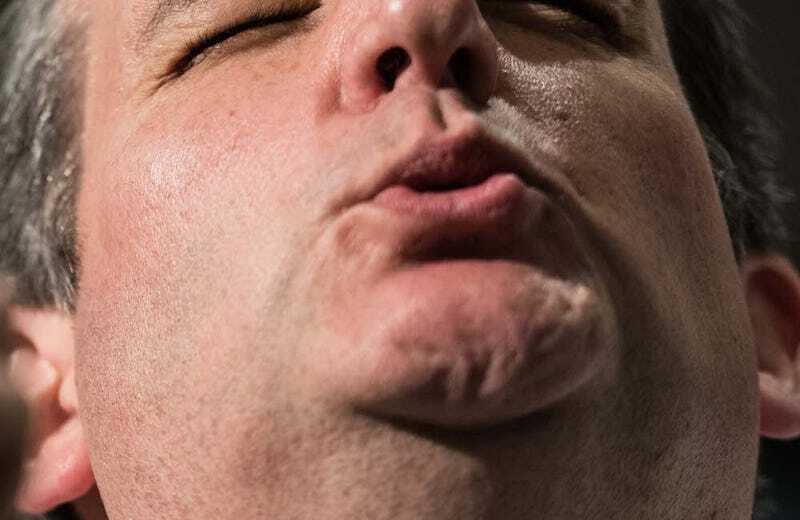 To rectify the situation, Ted Cruz talked about how much he enjoys dribbling queso down his flesh-mask’s mottled chin. We are truly living in hell. More than just being viscerally upsetting, Ted’s ode to the soup-adjacent cheese is just slightly off, in the way that only Ted, a real human man with real human skin, can pull off. It just tastes good. It speaks to the soul. Good queso relaxes you. Look—cheese dip can be served on a Ritz cracker or with one of those tiny Vienna sausages. Are these the only times one can serve “cheese dip”? Also, what is cheese dip? Do you mean Cheez Whiz? He probably means Cheez Whiz. Now imagine Ted Cruz, naked, sitting in a darkened room and surrounded by nothing but empty soup cans and shredded photos of Donald Trump as he meticulously applies Cheez Whiz to a Vienna sausage. Heidi smiles silently on a chair in the corner, staring at nothing. Another productive Tuesday morning. Queso is made to be scooped up with tortilla chips, dribbling down your chin and onto your shirt. That is not, in fact, how one is supposed to eat food. Queso and tortilla chips go in your mouth. 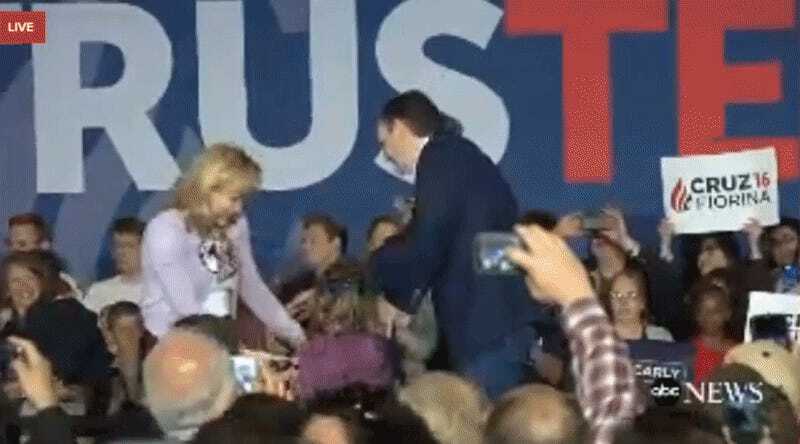 Ted’s true colors begin to show. One is a visceral, emotional, powerful family bond as you and your kids pour into nachos covered in queso. Yes, how’s that queso-bath bonding time working out for you Ted? Maybe she’s just running to get more queso. The other is... party favors at an afternoon tea. Ted Cruz’s afternoon teas consist of sipping cold clam chowder of fancy china and forcing his guests to go home with handfuls of liquid cheese. ...you and your cheese-covered face skin.